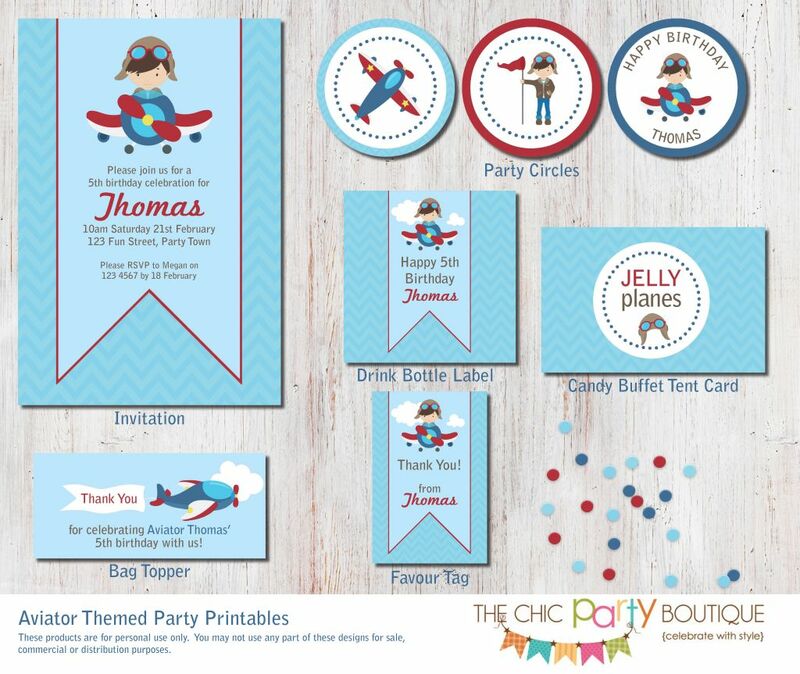 This party printables set includes templates for the party invitation, favours and more. These are digital files which will be emailed to you for you to print. No physical products will be sent. The invitation is personalised. 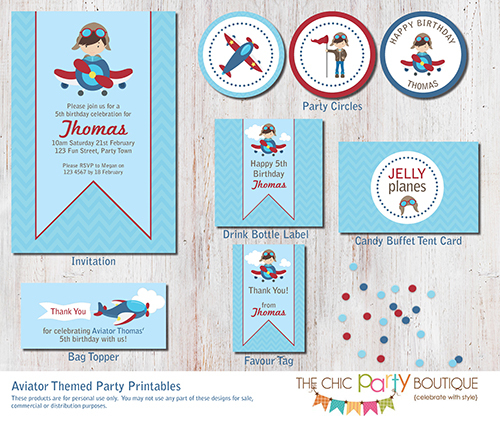 The drink bottle label and bag topper are personalised with the birthday child's name. The favour tag and one of the party circles are personalised with the birthday child's name. The candy buffet tent cards are personalised with your choice of food/drink names (up to 8 cards). No changes to fonts or colours are available and no photos can be added. You will receive a "proof" of your invitation by email within 1-2 business days of receipt of your order, for your approval. No proof will be created for the remaining items. Digital File: Print yourself at home or take along to your local print shop for printing. These products are for personal use only. You may not use any part of these designs for sale, commercial or distribution purposes.